"Louisville's Favorite Mobile Detailing Company!" "Home or Office, We Come To You"
Call and find out why everyone says we are the best auto detailing company in Louisville Kentucky. We are the leading mobile auto detailing company in Louisville Kentucky. Professionally trained and prepared to conduct car and auto detailing services any where in the Louisville Metro location. Our services include an environment friendly car washing service, with little to no generators to minimize noise and distractions and a satisfaction guarantee to back all of our work. Our highly trained auto detailing technicians leverage the latest technology and tools to help take care of any car detailing job. From washing your precious BMW in your driveway to detailing your full fleet of vehicles, no matter the job we can get it done to your full satisfaction. When Louisville Mobile Detail first opened its doors customer service was our biggest focus, which is why we have consistently been ranked as one of the best auto detailing shops in Louisville KY, plus we aim to impress you every time! Since Louisville Mobile Detail is committed to doing business the right way the first time, we provide the highest quality car detailing and polishing services in locations where almost all of our competitors are simply not able to work. Maintaining an amazing relationship with the local government in Louisville is key to our success and we have the availability to set up weekly, bi weekly and monthly services to best fit your individual car detailing needs. By us being a mobile auto detailing company, you will find out that once you use our high quality services, you will not only have an immaculate automobile but also have more free time to run errands, conduct business or simply enjoying your family time. For anyone who is new to the idea of bringing the detailing shop to your home, its a common fear that the cost of service is drastically more costly than bringing their car into the detail shop. This may have been true when the concept first was brought about more than two decades ago, we can guarantee you that you will find our pricing highly attractive to you and very competitive compared to other detailing companies in the Louisville area. 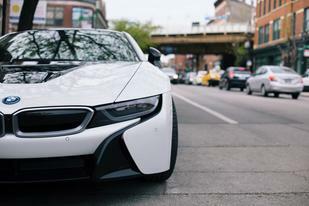 When you choose Louisville Mobile Detail as your auto detailing comany, you’ll be confident that we offer the best auto detailing service in Louisville KY for the most affordable cost! No matter where you're at we'll come to you and detail your car. Never has it been so easy to get you car detailed to a beautiful shine all while being able to accomplish the more important daily tasks. Need us to come to the office? As long as GPS can find it, we can make it. No other auto detailing company can compare to Louisville Mobile Detail and their exquisite auto detailing skills. Every car is hand washed by our professionally trained staff, keeping attention to detail our top of mind priority. 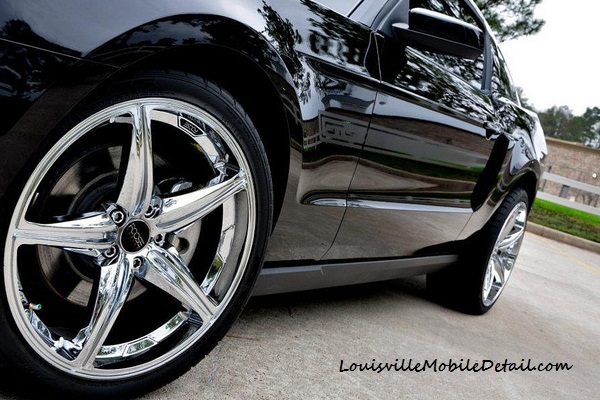 Louisville Mobile Detail was founded with the idea of catering to the customers auto detailing needs. Just give us a call! (502) 792-0906 or fill out an easy appointment form. We come to you, no matter the location (work, school, or home). No longer do you need to make time to auto detail your own car when we can just come over and detail it, when ever you want. Every product we use is 100% environmentally safe, we vow to never use eco harmful products. 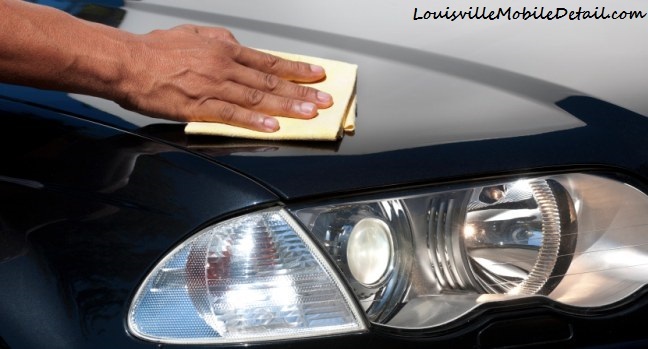 Louisville Mobile Detail is one large Mobile Car Wash and Auto Detailing company in Louisville. Our technicians provide the service, no outsourcing to unreliable companies. Inside and out, our attention to detail will blow your mind. Whether your vehicle needs to be scoured clean or just needs its routine auto detail, after every wash it will feel like you're driving a new car all over again. Booking an appointment online it so easy, that you will be in and out in under 3 minutes. If you need a car detailed simply go to the top of our website and fill out an appointment form, we'll give you a call immediately to confirm your appointment for the date and time set. Feel free to call us anytime during business hours for any of your inquiries at (502) 792-0906. If you reach us after hours leave a message and your call will be returned as promptly as possible. Louisville Mobile Detail is so confident that we will deliver the best results, that we guarantee all our work. If, for whatever reasons, you are not happy with the job performed, we will come back and redo the package at no cost and to your satisfaction. From the day we first opened doors for business Louisville Mobile Detail has served more customers than most of our competition because we are able to work in more cities than them. Louisville Mobile Detail has built a solid team over the years. 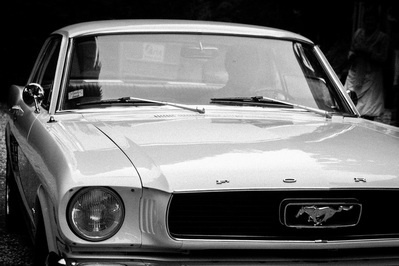 We only recruit people that share our Eco-friendly vision and are fanatic car enthusiasts. You can socialize with us and find out about latest announcements on our Facebook page. It's also the easiest method of contact for some of our most valued customers. Louisville Mobile Detail provides excellent auto detailing services to the residents in Louisville, prospect, Bardstown and Mt. Washington Kentucky and surrounding areas. – Auto Detail - Auto Detail Louisville - Car Detailing Louisville – Auto Detailing Louisville – Car Detail Louisville - Louisville Auto Detail - Louisville Car Detail. Our services are perfect for you if you need a Car Wash in Louisville – Louisville Car Wash – Mobile Detail Louisville KY. Also if you need Auto Paint Restoration in Louisville KY – Car Restoration Louisville KY then we are your best choice company for everything in mobile auto detailing services. At Louisville Mobile Detail maintaining your vehicle's attractive appearance is always our top of mind priority. After all your car is an extension of you, our auto details will make you look and feel more vibrant, alive, and high end. Simply call us at (502) 792-0906, after all you deserve the best auto detailing company in Louisville, KY.
At Louisville Mobile Detail maintaining your vehicle's attractive appearance is always our top of mind priority. ​After all your car is an extension of you, our auto details will make you look and feel more vibrant, alive, and high end. That feeling of stepping out of your car after it's been detailed and everyone around it can't stop staring. Our auto details are incomparable. Not only do we use the highest quality products available on the market, but our attention to detail on the smallest of features is what sets us apart. Since your vehicle is constantly going to get dirty we want to ensure we provide you with the most ecstatic experience before, during, and after all of your appointments with us. With our satisfaction guarantee if you have any qualms with any of our work, simply let us know and we'll do just about anything to fix the problem. ​By far our most attractive feature simply because we can't be beat when it comes to pricing. Getting your car washed and detailed shouldn't be a pain and definitely shouldn't be put off for months on end. No longer do you have to spend HUGE money to have a professional wash, wax and full detail! Call Louisville Mobile Detail at (502) 792-0906 and shine like the sun in the middle of july.